Most people will acknowledge that a well-designed kitchen can significantly add value to your home. A beautiful kitchen is not only a pleasure to cook, eat and spend time in, but it can also reel in potential buyers, too. Adding value to your home is an appealing prospect when it comes to doing any renovation work, and there’s no doubt that an attractive kitchen can allure potential buyers. 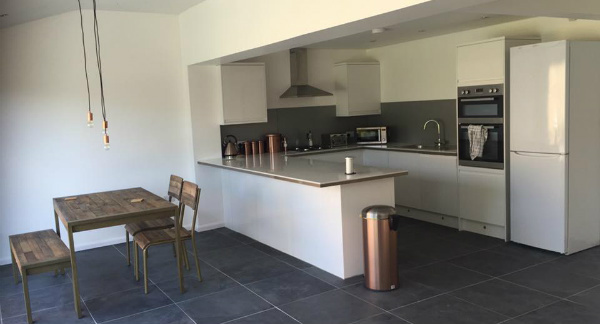 However, when it comes to fitting a new kitchen, how can you ensure you get the best return on your investment if you decide to sell at a later date? Your kitchen is one of the most practical rooms in your house. Just because it has an important job to do on a daily basis, doesn’t mean it can’t be an attractive and inspiring space. The visual and aesthetic impact of your kitchen can really seduce buyers. Therefore, although it’s important to choose a kitchen that suits you, it’s worth thinking about the impression it will have on a prospective buyer. 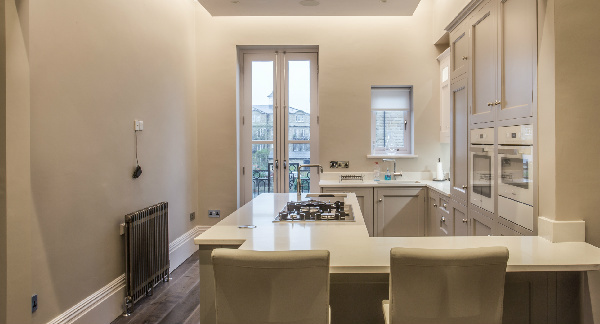 The cupboards, worktops and handles are key factors for a stylish kitchen. However, the rest of the space is equally important. A kitchen that’s open, welcoming and filled with light is often more appealing to a potential purchaser. At Mash Architecture, we can help you create a kitchen that not only makes the best use of the available space, but ensures it’s future-proof, too. A tidy, clutter-free kitchen is an attractive kitchen. Clean lines and a simple layout look better than kitchens with several turns and fussy details and ad-hoc appliances everywhere. Even food mixers, coffee machines and toasters can feel hectic and cluttered – it’s important that these appliances have a designated “home”. It will create a cleaner look and, if they’re located within cupboards or drawers, you can bring them out again when the coast is clear! If your sights are set on a large kitchen, why not consider knocking through to the dining/living room and create an open-plan space with designated ‘zones’ for cooking, eating & relaxing? It will instantly feel bigger than the previous room and you may have more space for a larger kitchen area. Plus, if your new space overlooks your garden, you’ll find floor to ceiling glazed doors not only offer a great view, but they’ll enhance the sense of space inside, too. For a fresh and clean kitchen, avoid gadgets that compromise your vision. For example, if you don’t tend to steam cook your food, avoid a secondary steam oven. Or if you’re only an occasional coffee drinker, give the high-tech, built-in machine a miss. When buying a new kitchen, design companies will try and sell you plenty of gadgets. But before you commit to new tech, consider what you use and what you need. If you’re unsure, opt for good quality essentials and steer clear of anything that feels gimmicky. Mash Architecture can help you create your dream kitchen and one which will stand the test of time and appeal to potential buyers if you decide to sell your home. Getting more light into the property is a great way to increase the home’s value, and skylights are brilliant for that if you’ve got the right kind of roof, especially coupled with some French doors. Nice article, I completely agree that the keeping the kitchen as clutter free as possible whilst maximising the space is the way to go.